Lynne Borden, Ph.D., professor of Family Social Science. Lynne Borden, professor in Family Social Science, is being honored with a 2018 College of Agricultural, Consumer & Environmental Sciences (ACES) Alumni Association Career Achievement Award from the University of Illinois, Urbana-Champaign. The Career Achievement Award recognizes graduates from the College of ACES who have had exceptional professional achievement and/or made extraordinary humanitarian contributions. This award recognizes her outstanding record of achievements as a scholar and leader in her field. She will receive the award on Saturday, September 8, 2018 at the College of ACES College Connection reception. Lynne Borden joined the University of Minnesota in 2013 to Head the Department of Family Social Science and returned to the FSoS faculty in July 2018. She previously had served at the University of Arizona, Tucson, as the Thomas W. Warne Professor of Excellence in Youth Development in the Norton School of Family Consumer Sciences, and as a faculty member and extension specialist in the Division of Family Studies and Human Development. She also served at Michigan State University as a member of the faculty and extension specialist as well as the State Leader of 4-H Youth Development, Children, Youth and Family Programs. Borden’s research and discovery endeavors to better understand the relationships young people have in various contexts and how those relationships affect their overall development. Over the course of her academic career, she has been awarded government, private and foundation grants in excess of seventeen and a half million dollars to support her work. Specifically, her research agenda has focused on community-based programs and the role of these organizations in promoting the positive development of young people and their families. Working in partnership with community-based programs, Borden’s research helps organizations enhance their ability to better meet the needs of those they serve with data that allows them to make programmatic and policy changes. She has written numerous peer-reviewed journal articles, conference presentations, and extension materials, as well as technical reports and newsletters for the U.S. Department of Defense and Department of Agriculture. Borden has also edited or contributed chapters to 23 books on youth development, youth programming, and public policy. She has addressed youth development issues at national and international conferences, including the International Conference on Experiential Learning Conference in Finland, the Annual International Conference on Advances in England, and the International Agricultural and Extension Education conference in Dublin, Ireland. 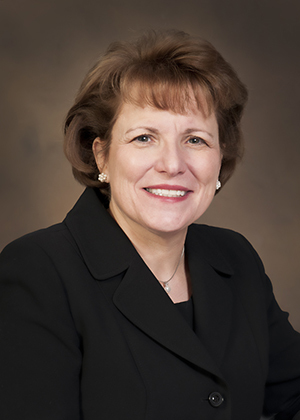 Currently, Borden is a member of the Board of Human Science and the Sub-Committee on Social Science for the Experiment Station Committee on Organization and Policy for the Association for Public and Land Grant Universities. Previously she served on the U.S. Interior Department’s Sport Fishing and Boating Partnership Council and chaired the Society for Research on Adolescence’s Special Interest Group on Youth Development Programs as a Context for Adolescent Development. She has been honored with an Association of Public and Land-grant Universities Outstanding Engagement Award, a University of Arizona Alumni Association Honorary Alumnus Award, and the University of Arizona’s Extension Faculty of the Year Award.